Happy Tuesday! One of my favorite tops that I like to dress up or down is the Portofino Shirts from Express. There are so many color and pattern options. My sister and I both love how versatile they are. This striped top is currently on sale! I might need to stock up on some more colors! These shirts are the best, I have that one. Oh those heels are so good! Love this shirt from Express- those blue stripes! Yes! 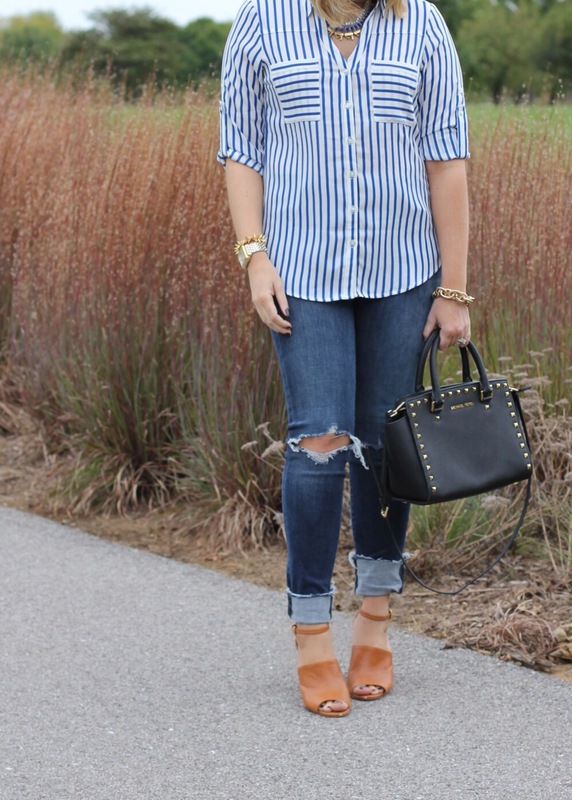 Love a good button down! 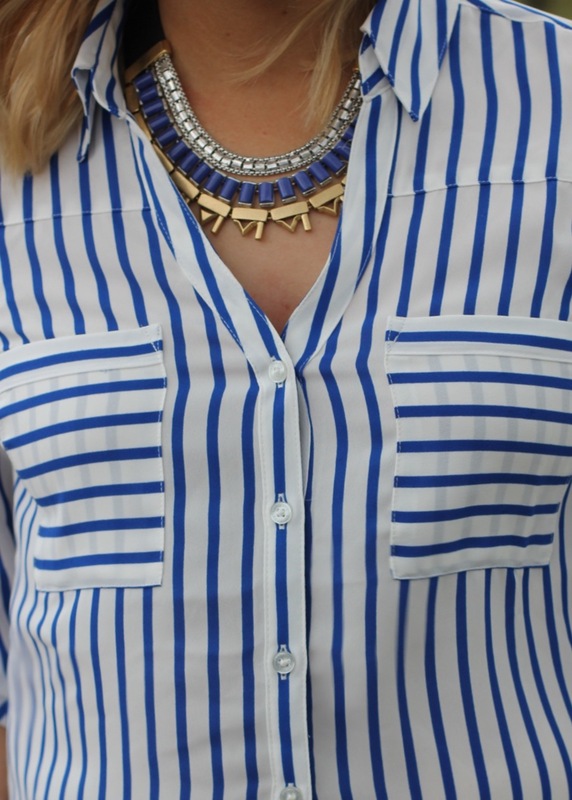 The one you're wearing here is great and so versatile...love the stripes. Love the shirt. Very chic and classic!